We Dare You To Try These Weird Dishes And Recipes Before You Die! If you think that your wife can’t cook or if you have just recovered from a stomach flu after your husband offered to cook for you, try these Weird Dishes And Recipes and let us know how heavenly the food cooked at home seemed! Take your Pick from the list below! 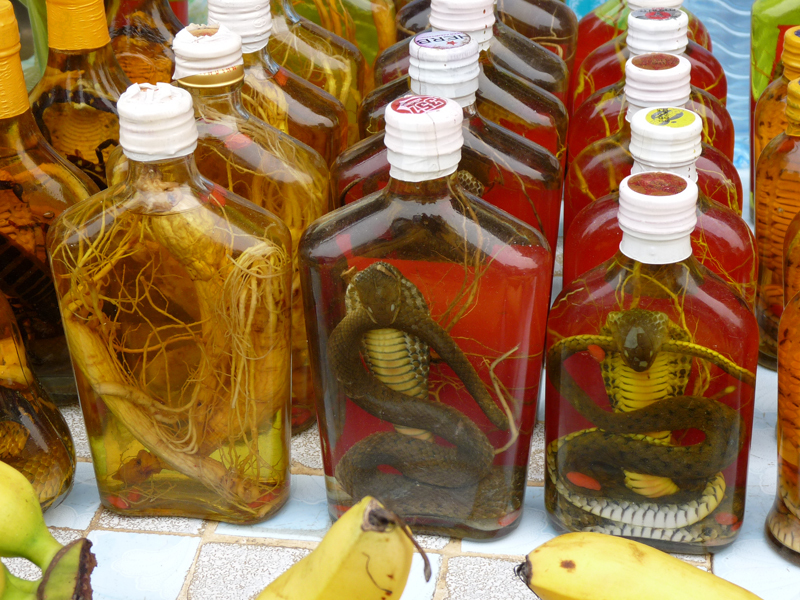 If you think tepid wines are not your choice, amaze yourself with a glass of Snake Wine! Why on earth is this this made: Well simply because, snakes tend to have restorative properties in China and Vietnam. So either you add a snake to rice wine and let it ferment or you simply add snake blood and fluids to the wine and drink it with class! So Mexico loved caterpillars. Ironically the phrase “Butterflies in the tummy” is real here! Why on earth is this this made: Before we decide on rolling the tongue and learning how to say ‘Me-hee-co’, know that even though Mexico is synonymous with Salma Hayek and Desperado, they serve and love caterpillars and butterflies toasted to perfection. Maguey is the major source of Tequila, and so the caterpillars thriving on Maguey are a huge hit. India will never cease to amaze us! Why on earth is this this made: For a sharp and clean taste! Though this makes us wonder what ‘Taste’ actually is. So you collect the ants in a cup(leaf cup) and throw it on ashes. Remove the ants and make a buttery paste. Add chilli and salt to taste and bake. Why ? Just why? would anyone eat this? Very simple, you eat spoilt eggs, normally the ones you would throw for the foul smell. Why on earth is this this made: For the rotten aroma of course!Yuck it may be but these eggs are stored and preserved not for a century but for a couple of months just enough to turn the yolk dark green and the eggs whites Brown! This is not about risking your life, but may be it is! 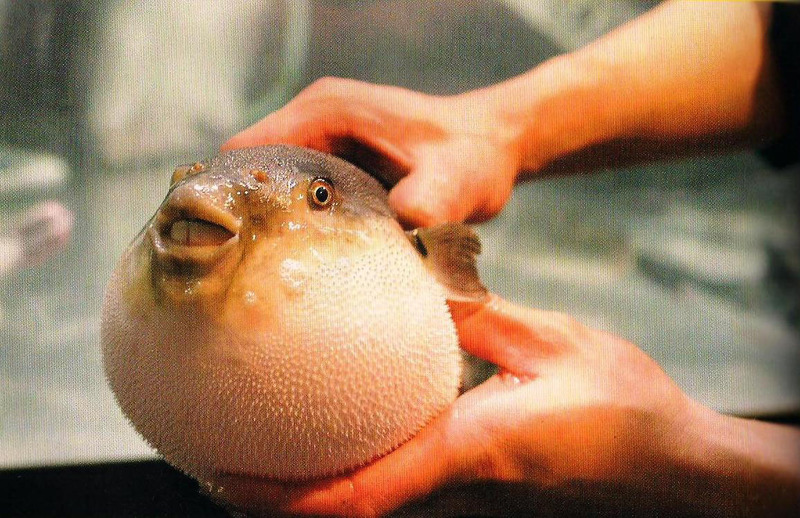 Why on earth is this this made: Called the pufferfish, this dish is made with extreme care and caution. A slightest careless attitude can prove lethal. Over 20 people have died sofar after eating this dish which is poisonous if the toxic parts of the fish are not correctly removed. Tacos are love and we need the brains! Tacos that make us Wise! Why on earth is this this made: For the delicacy that Brains can be. I am sure all talkative people can agree with that. That is what we eat all day ofcourse! But this is a bit different. Tacos are served with cooked Lamb Brains and mighty yummy! For the love of spiders and spider man! Why on earth is this this made: For the rare delight that it is! Tarantulas are fried as a whole and served with dips and pickles. A top notch restaurant in Cambodia serves around 200 Spiders a week. That is some spider love for sure! 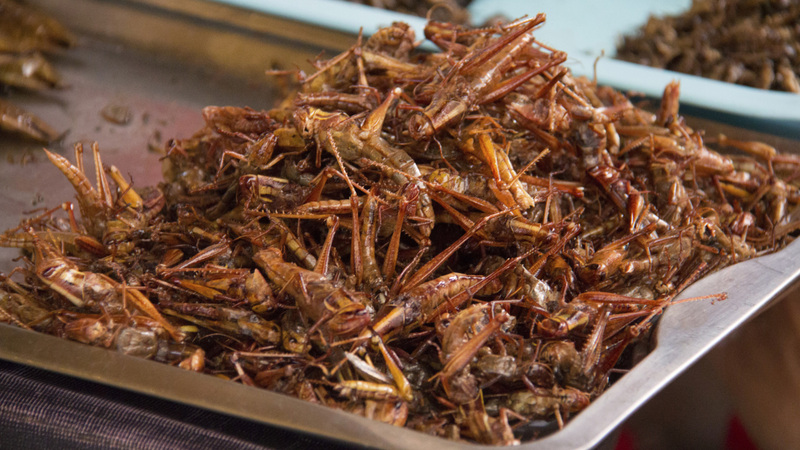 Fried and sold in street markets, Grasshoppers are yummy! Why on earth is this this made: For the proteins and muscles! Served with lime and garlic, nothing beats the wonderful crunch of the grasshoppers fried to crisp texture. No matter how wonderful we make it sound, it does not entice many for sure. Tell us which one would you try ? We love to hear from you!